A visit to an old growth redwood forest is unforgettable. With the canopy far above and the open spaces below, the senses are overwhelmed by towering trees of enormous girth. In the presence of these silent giants, a person can feel quite insignificant. The genus Sequoia is part of the CUPRESSACEAE family and contains only one living species, Sequoia sempervirens or Coast redwood. Coast redwood is an evergreen conifer that is found only in a narrow coastal band about 720 km (430 miles) long and eight to 60 km (five to 35 miles) wide from southern Oregon to the south of Monterey County, California. Coast redwoods may live for up to 2,200 years and are the tallest trees in the world, reaching heights of up to 115 m (379 ft) with diameters at the base of 7 m (23 ft). 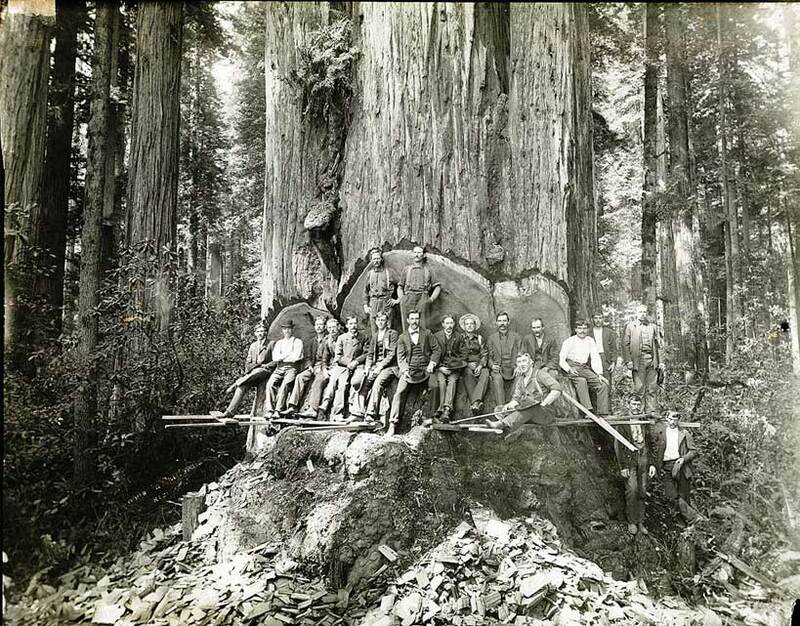 In 1850, 'old growth' redwood forest covered more than 810,000 ha (two million acres) of the California coast. After many years of clearfelling redwood forests, Californians realised that these magnificent forests were under threat and the result is complex legislation restricting forest harvest. Most of the remaining old growth redwood forests have been put into parks where they will be protected forever, a factor that has a significant influence on the premium price redwood commands on the local lumber markets. Coast Redwood has a remarkable ability to coppice (regenerate from the stump). Once the old growth redwood forests were cleared, vigorous sprouts grew from the stumps, established root systems and quickly cloaked the hillsides in green. Although lumber from second growth forests is quite different to that from old growth forests, consumers willingly buy second growth redwood and virtually all of the redwood sold today is second or even third growth. Redwood has been grown in New Zealand plantations for over 100 years, and Redwoods planted in New Zealand have higher growth rates than those in California. This is due mainly to even rainfall distribution through the year and in many cases, redwood stands on favourable sites are producing as much wood volume as radiata pine stands of the same age. NZRC has co-developed a growth model based on measurements over time of redwood stands from sites around New Zealand, and this model enables us to better predict future harvest yields for stands in New Zealand. 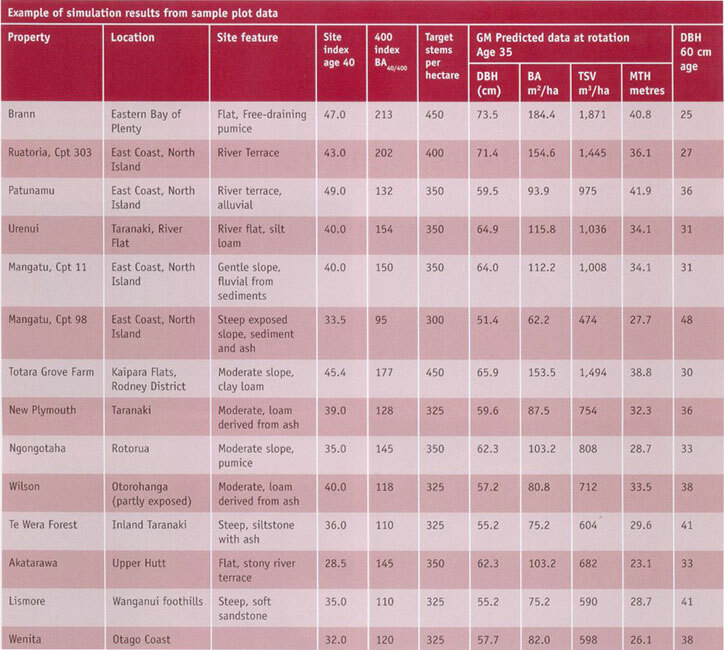 This table (left) shows details of existing redwood stands throughout New Zealand. The height and girth of trees in these stands have been measured and using the Redwood Growth Model, the yields have been standardised, to 35 years of age. - Table prepared by NZ Forestry Ltd.